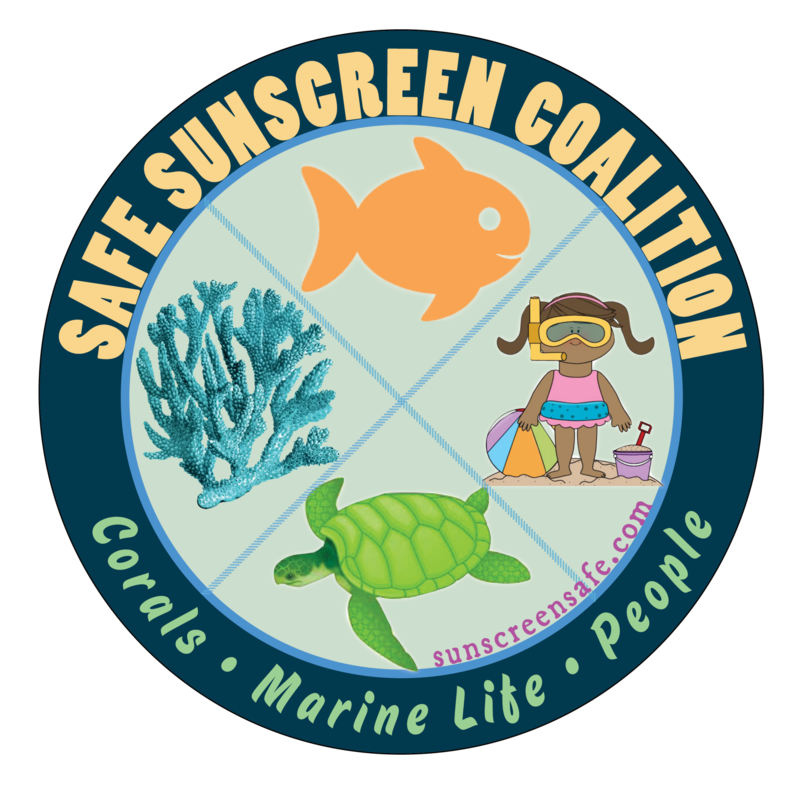 NEW 2018: Great way to educate about sunscreens. 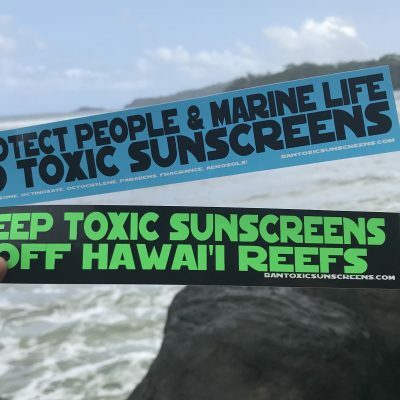 Hand them out at the beach! Glossy coated to last. 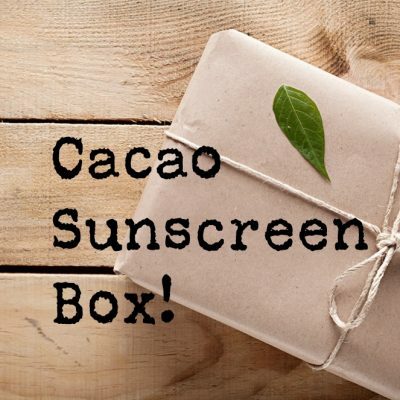 Includes box of 100 cards! 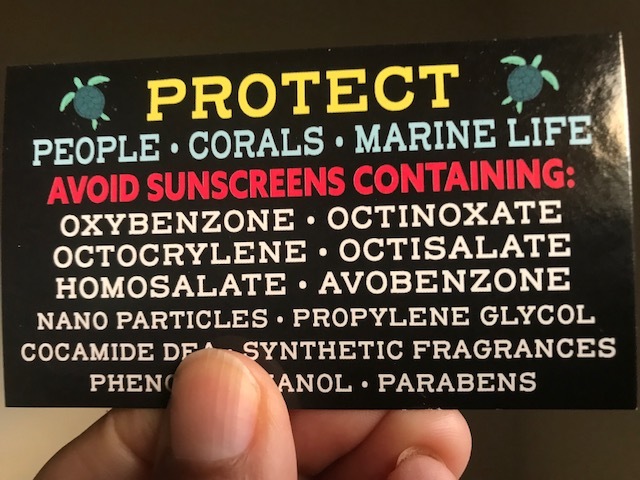 Great way to educate about sunscreens, these Sunscreen Cards make it easy to communicate and educate. 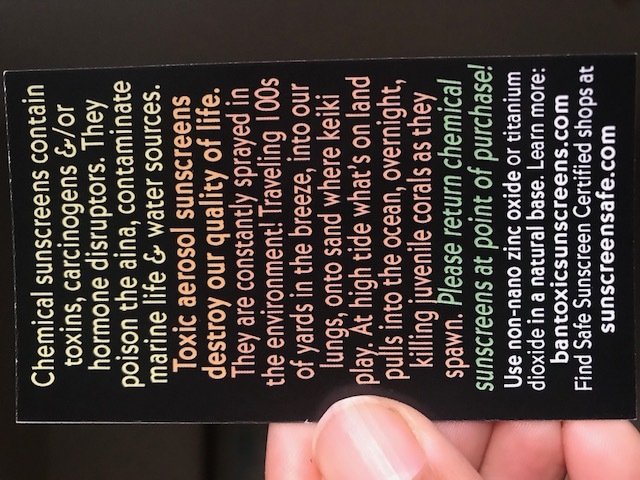 Hand them to the unaware mom spraying down her keiki. 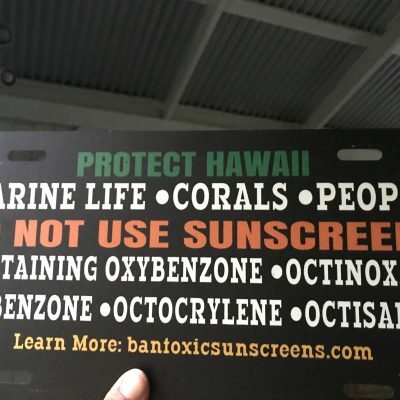 Share one with the surfer who still uses chemicals. Great to share with friends. Glossy coated to last. 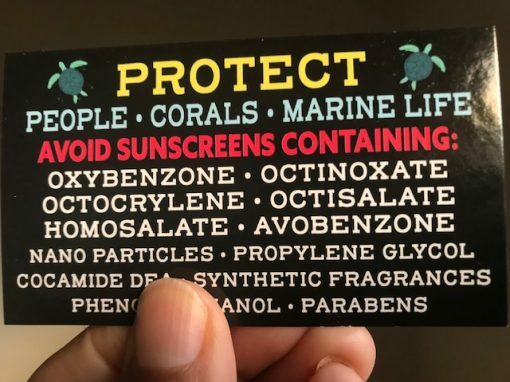 This is a box of 100 cards. These are NEW for 2018.